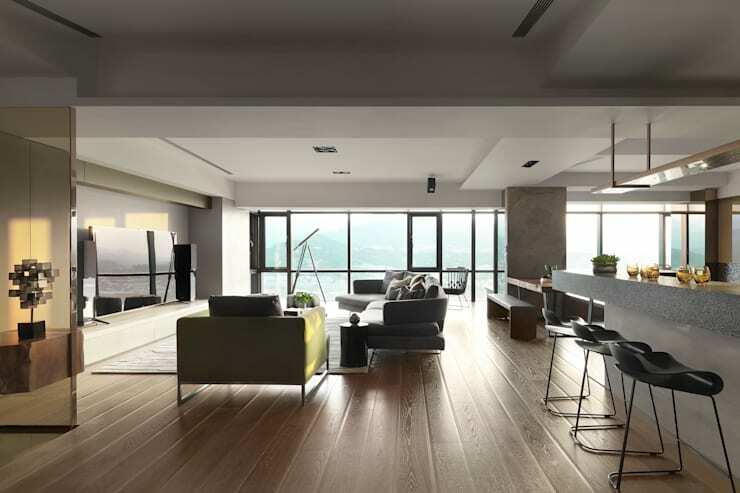 After purchasing anewly constructed apartment with stunning natural scenery, the homeowner sought the help of a professional designer to create a space he could enjoy with his wife and mother, and a warm home he could share with his children when they returned to visit. 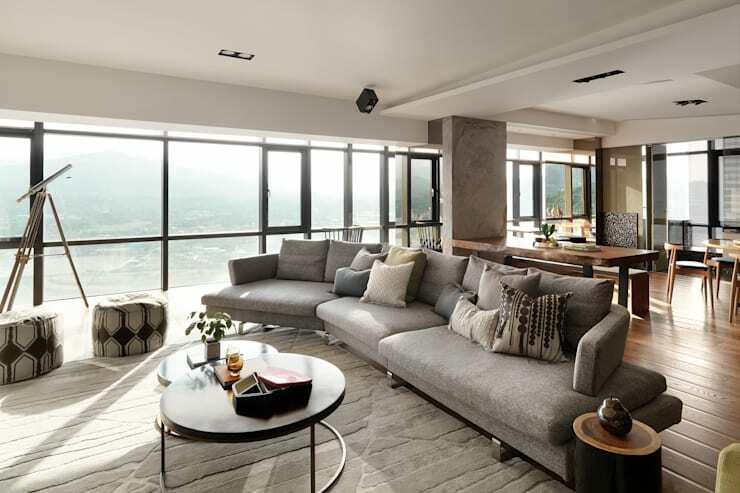 First, the designer recreated the home's layout and flow by removing a dividing wall that had broken up a panoramic view of the surrounding scenery. 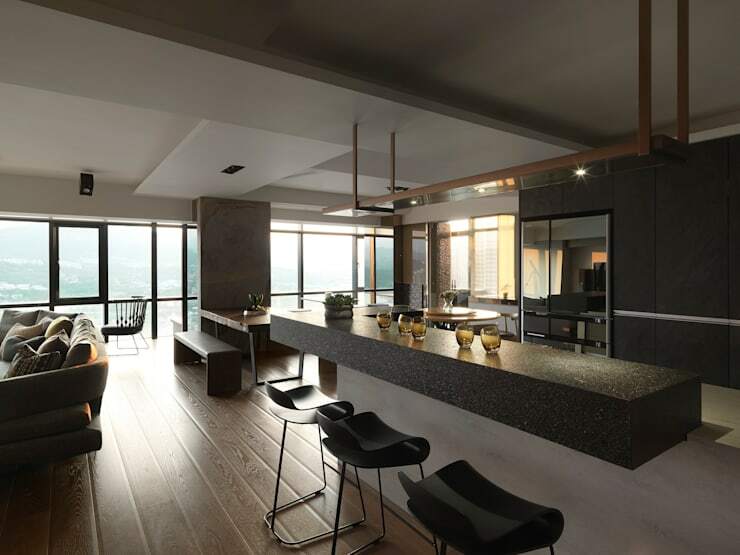 He then specially designed a dual-function kitchen and dining area, featuring an interior cooking space which opens into an open bar layout. Using thin but sturdy slate paneling for the kitchen cabinets, integrated fridge, oven, and other appliances, he created a visual dialogue with the bar's stone counter, aesthetically linking the kitchen with the dining area, and continuing into the open living room. 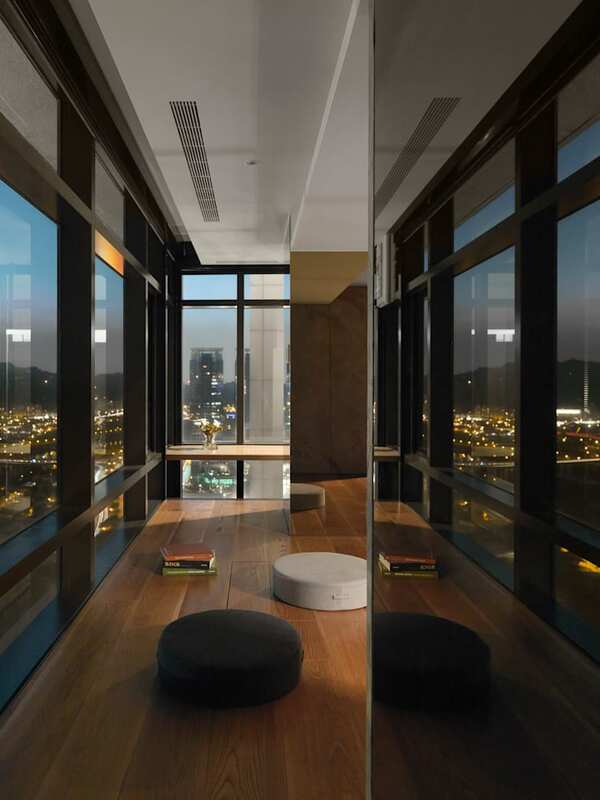 For the space near the windows, he incorporated raised wooden flooring – creating a perfect place for relaxing and taking in the scenery or chatting with visitors. And when the kids bring their families home for the holidays, a sliding door seals off the space into a private guest room. 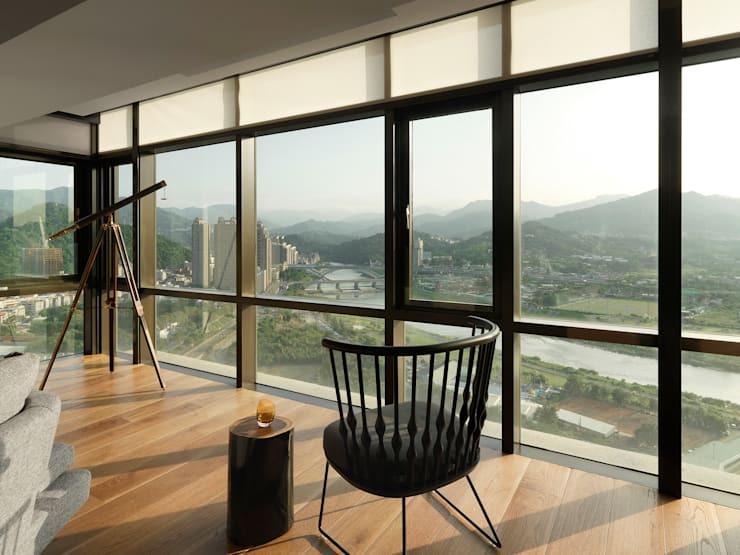 Similarly, the Japanese tatami room links seamlessly with the common area when its doors are open, or it can be closed off to create a private suite, adding an extra room to the home's regular three-room arrangement. The designer custom-selected themes and materials following close observation of each resident's particular lifestyle and interests. 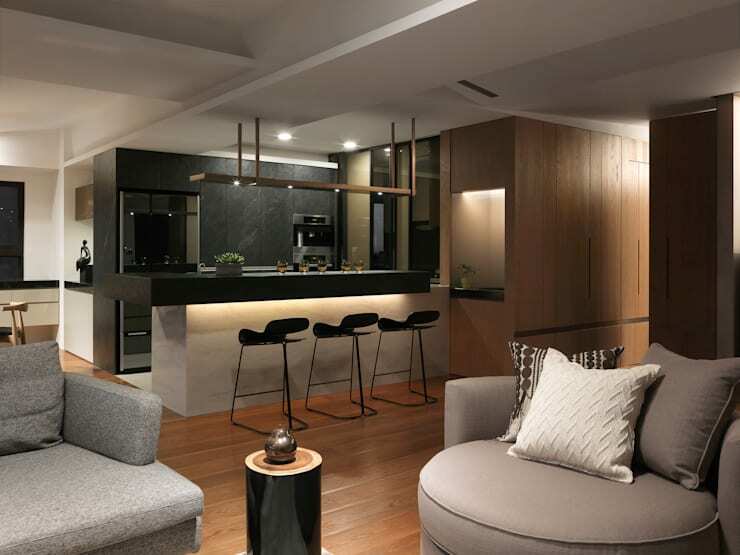 Every detail from the simple yet elegant stone paneling of the home's entryway, to the living room's partition wall, and even the outer kitchen's stone sideboards for the wife who loves cooking, reflect the residents' unique personalities. For those times when the husband's work demands a private video conference, the designer included an office area in the master bedroom, complete with soundproofed sliding doors. 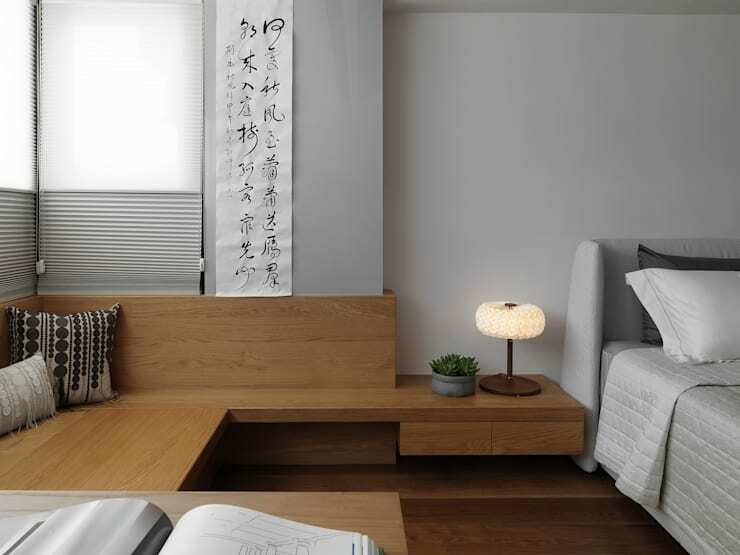 For Grandma, an avid calligrapher, her room features a tatami design and includes a bed which doubles as a calligraphy table, also providing space for her visiting grandchildren to lounge and chat. 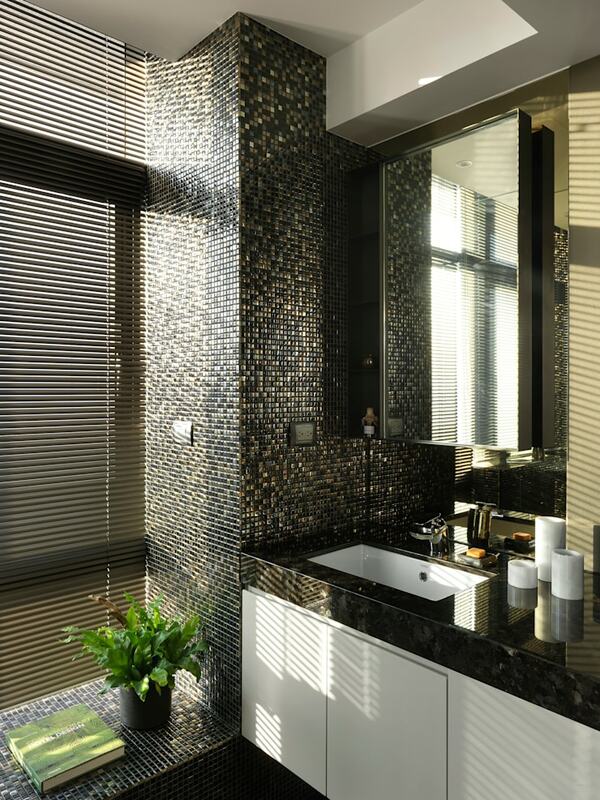 The room is further equipped with a small sink and mini-fridge, in case she might feel like dinner in her chambers. He selected fabric furniture to better reflect the scholarly demeanor of the homeowners. 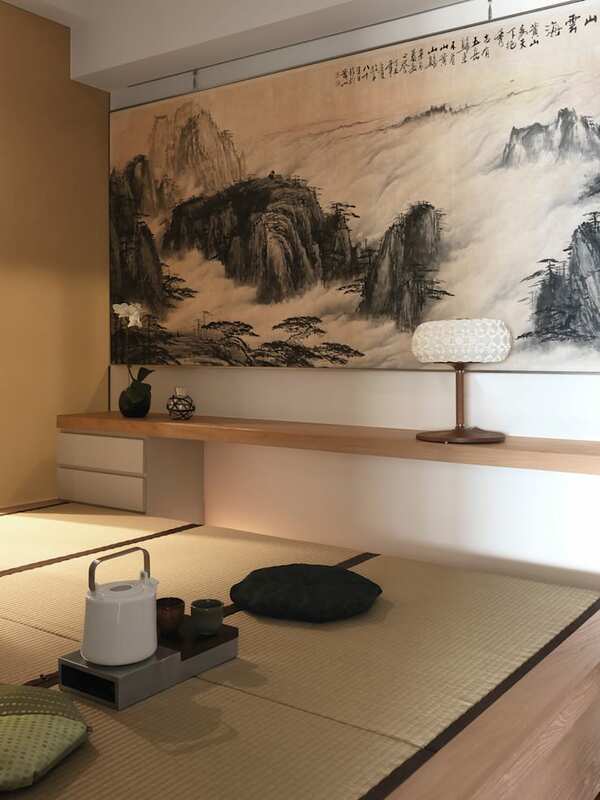 Now every detail of the home's design evokes the family's unique inner spirit: the genuine wooden dining table, the use of tatami in the grandmother's room, the chic fabric sofa in the living room, and the Japanese-themed room's zen cushions, plants and ink wall hangings. 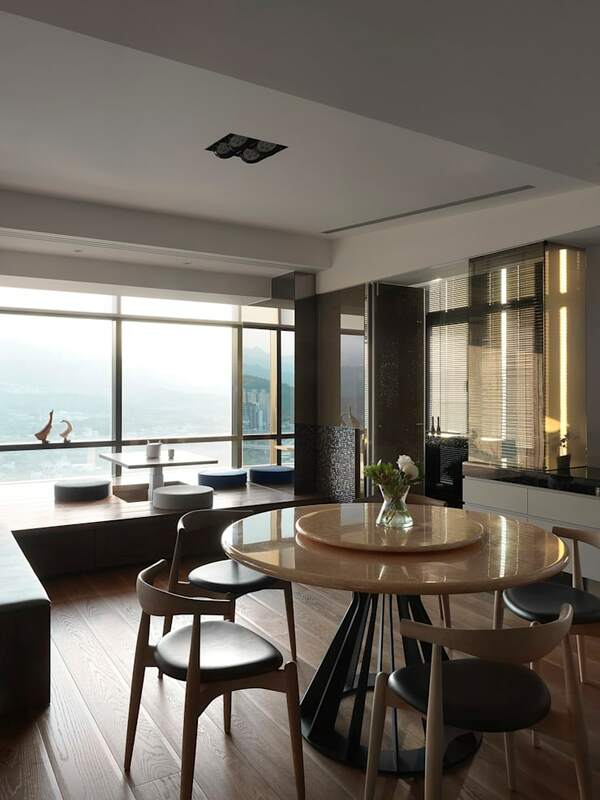 A brilliant design, beginning with a readjusting of the home's layout and flow, leading to a transformation of its landscape, lighting, and atmosphere to create a space which excites the senses.